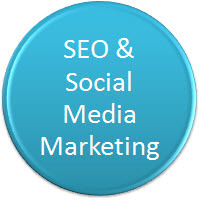 My journey continues into the world of Search Engine Optimisation (SEO) and Social Media Marketing at a steady pace. For those who missed the earlier posts: I have enrolled on a 10-week course at Salford University Media City. We have completed the 4 weeks, which brought to close the introductory course, and started the Professional Course last night. Class sizes are quite small – for the first few week I think there were about 10 of us, but the class size has doubled now that we have entered the Professional course. Industry guest speakers – Each session ends with an industry speaker explaining how the theory is put into practice. They have been of an extremely high quality thus far – and therefore the expectation has been created for this to continue to the end. Practical application – Even though I am still overwhelmed by the theory, I am starting to puzzle together how all the different elements are used to create a complementary whole. Of course at this stage the gaps in my knowledge are still extensive, but I am hoping that will narrow as the weeks go on. Group experience – I am sure I could have been learning SEO online, however the classroom experience firstly creates the discipline in my busy lifestyle to set aside the time for the class, but secondly there is an element of camaraderie between us to both learn from each other and help each other. Networking opportunities – And of course, very importantly, it enables and encourages business networking between course delegates and industry speakers, which in itself is invaluable. I do hope that the course will provide the springboard I need to launch myself into the new world of all things internet. Well, there are now also some universities that offer social media marketing course and it is a big opportunity for some student who want to learn about online marketing.